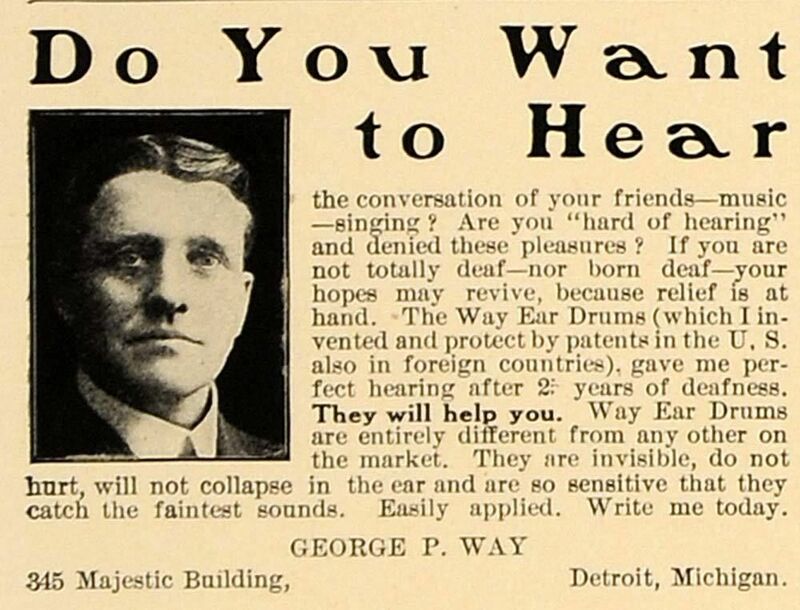 In one advertising pamphlet, Way claimed he was an engineer and explained before he invented his eardrums, he had been deaf and desperately sought out various cures. What he omits, however, is that his eardrum was actually the invention of his wife, Frances M Way, who graduated in 1902 from the Detroit Homeopathic College. Frances’ name is also on the holder of the eardrum patent, U.S. Patent No.902785 (granted November 3, 1908). According to the patent specifications, the “invention relates to an improvement in invisible ear drums, show in the accomear and to serve as a support for the ossicles,” particularly in cases of eardrum ruptures. F.M. Way Patent, INVISIBLE EAR DRUM. Filed April 6, 1908; Patented November 3, 1908. These eardrums cost $5 a pair and could be ordered through the mail. 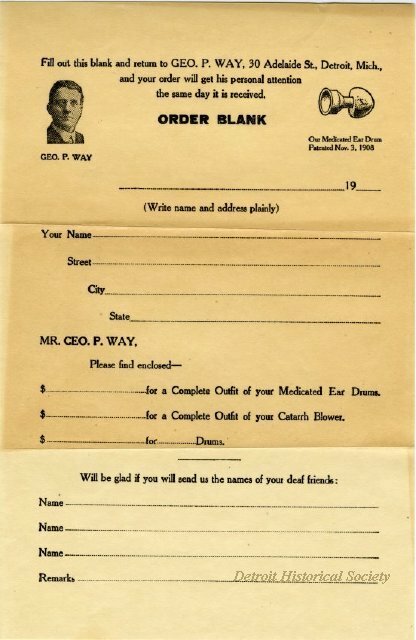 For another $5 an individual could also purchase Way’s “very unique instrument,” the “Blowena.” Portrayed as a “catarrh cure,” Way intended it to be sold as a sideline for eardrums in order to relieve a person’s deafness. 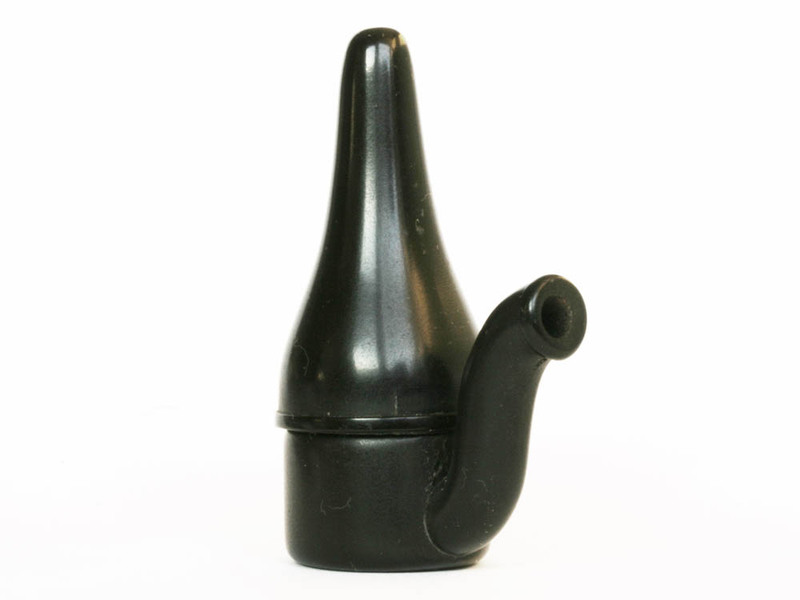 The Blowena is a small plastic device with a rubber hose attached, about 2 ½ inches in length. A patient was to blow air from their mouth through the hose, attaching the other end up a nostril. 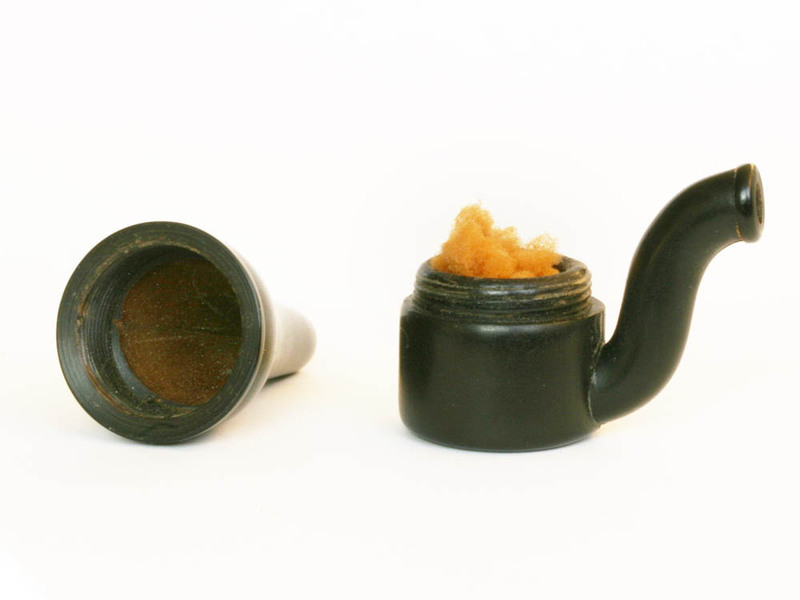 A medicated sponge was contained in the opening to deliver the required medicaments for treating catarrh, hay fever, cold in the head, flu, or any irritation of the nose and throat that were symptomatic of deafness. I again extend to you our special offer, of a complete outfit of our artificial eardrums, with full instructions, also our Catarrh blowena for head noises and catarrh, for the price of Seven Dollars ($7.0) and shall be pleased to receive your order. This offer is good for ten days. 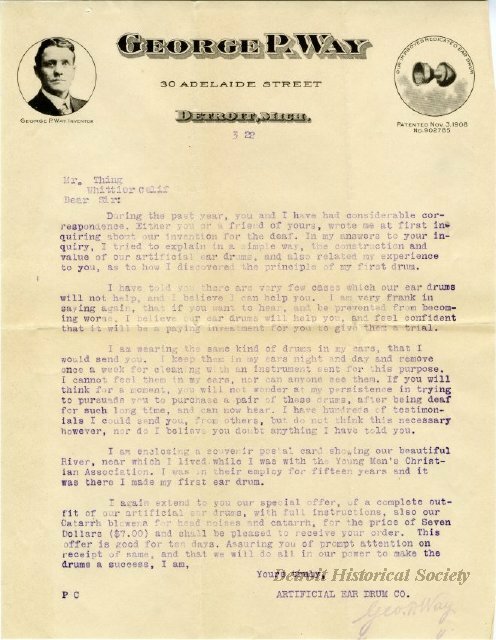 1922 letter from George P. Way to Mr.Thing.